Item: CVA 1399-394 - Johnson Motor Corp., Norfolk, Va. Item: CVA 1399-298 - Photographs of modular units at Royal Columbian Hospital, New Westminster B.C. 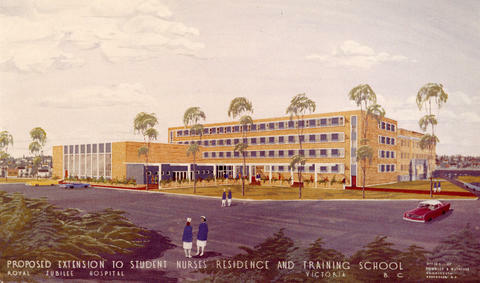 Item: CVA 1399-338 - Proposed extension to nurses' residence and training school, Royal Jubilee Hospital, Victoria B.C. 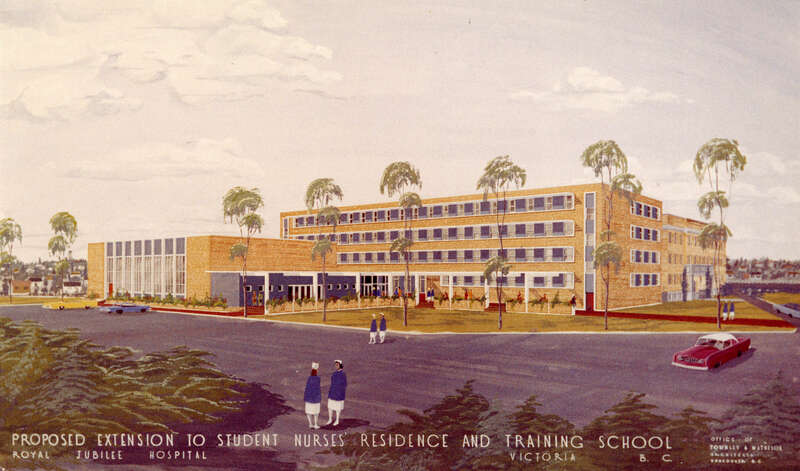 Item : CVA 1399-338 - Proposed extension to nurses' residence and training school, Royal Jubilee Hospital, Victoria B.C.